Just seen Trainspotting 2. Excellent film. But best of all was the pre meal at the Dockray Hall Hotel. It was a delight to discover Penrith’s new superb dinning experience. The meal was wonderful, served by highly trained and attentive staff. Good selection of wines. A joy to know that this high standard is available in the centre of Penrith. Comfortable relaxing well furnished atmosphere, real fires, happy customers, attentive staff, good food, all made for a memorable evening. Definitely be back …go if you haven’t …you’ll not be disappointed. 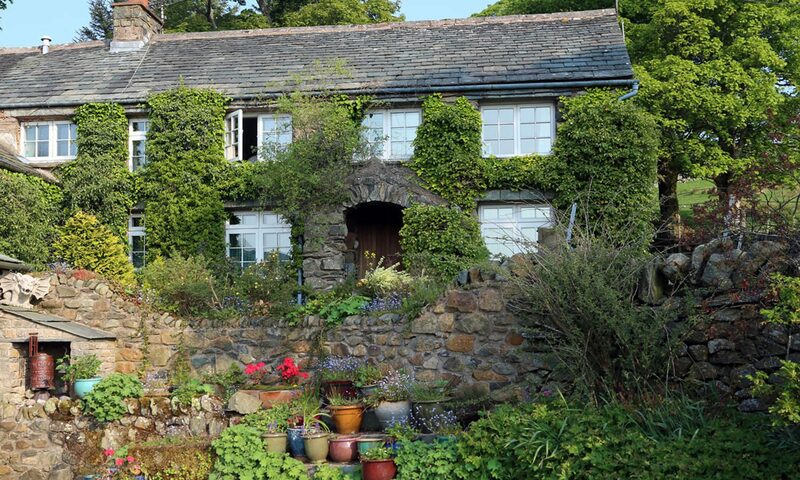 Deep in the Lake District, a well-loved family home with heavenly views from each cosy carpeted room. Superb home-cooked dinners to order! The drive from the main road is stunning: narrow, twisty and with wide sensational views at every turn; you are in the quietest valley but still at 1,200 feet. Your cottage, like any well-loved family home, is crammed with original art (much painted by the owners), photographs, books, games, open fires; plenty to keep young and old happy. The kitchen is big, beamed and Aga-simmered; a squishy sofa at one end next to an overflowing bookcase ensures whoever cooks will have company. An open fire in the long sitting room with contemporary sofa and dark red walls keeps you cosy. All bedrooms are carpeted, freshly painted and have lots of paintings; views are heart-wrenching from each. You will not need your car: walk straight onto the fell from the cottage to Helvellyn, the Dodds and Gowbarrow, a 15-minute walk takes you to the village, its hotel and a roaring fire, or simply explore the 25-acres here. Gina and Richard, just next door if you need them, have planted 3,000 trees in memory of their daughter Lucy. With the Aira Beck running through it, paths to meander, and seats for pondering, it's a very special place indeed.